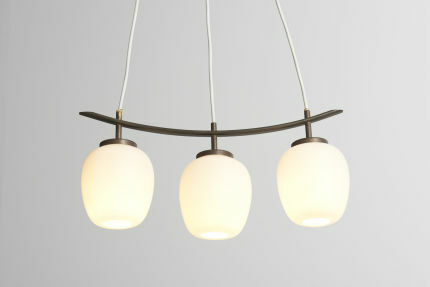 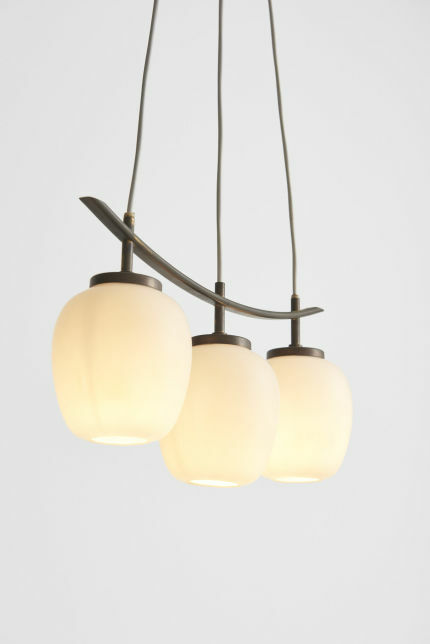 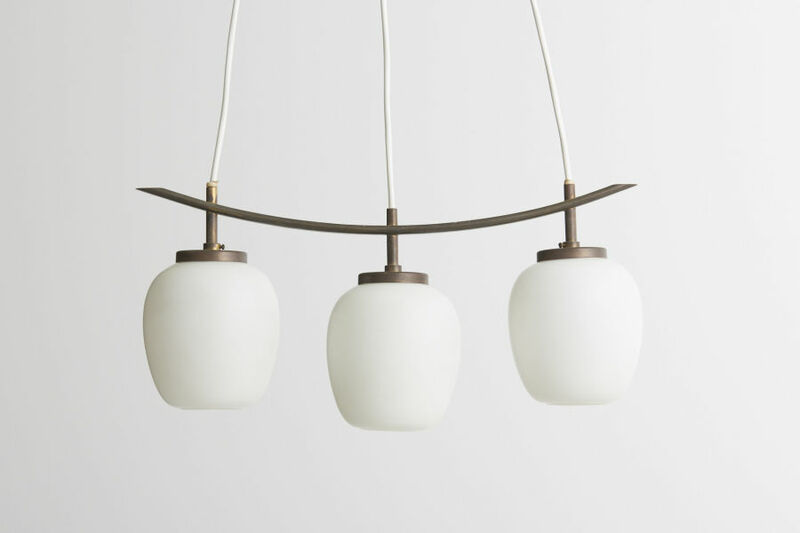 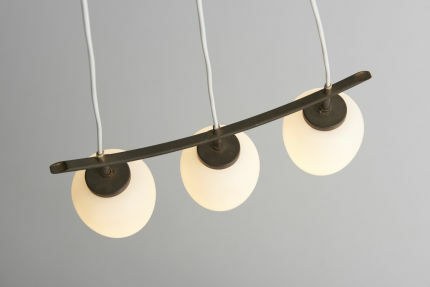 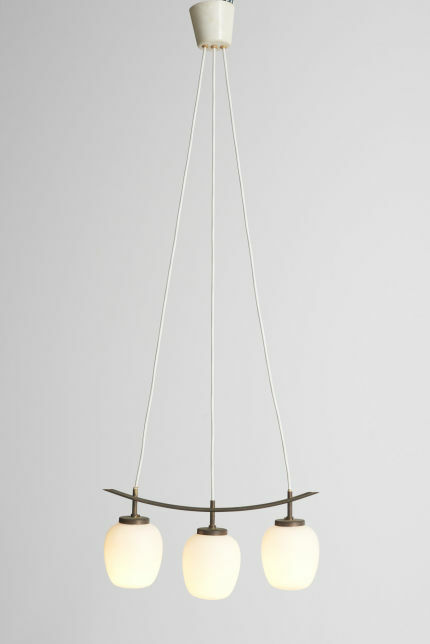 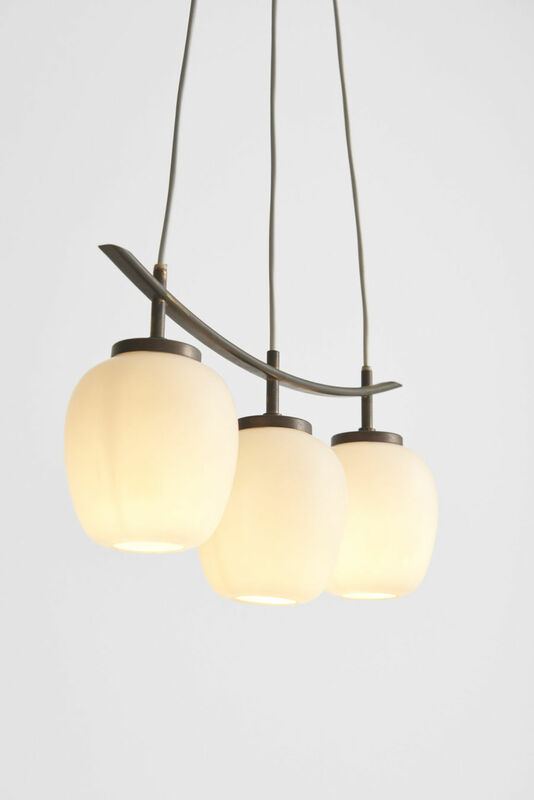 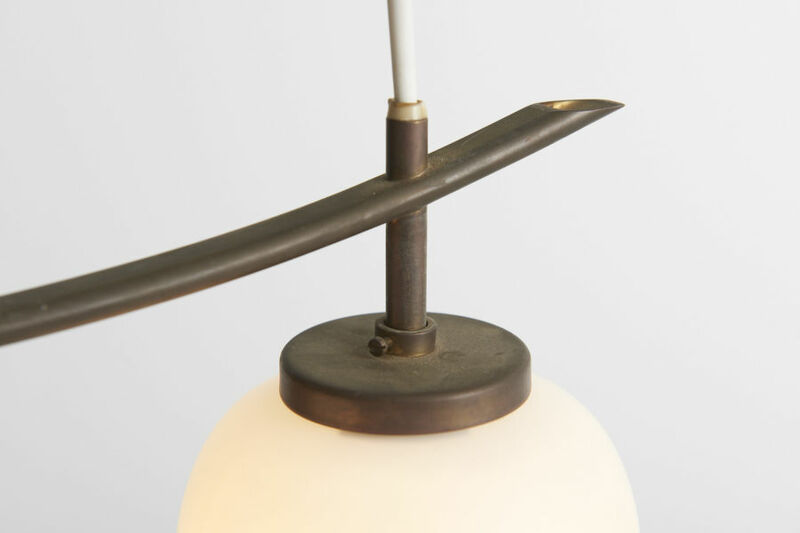 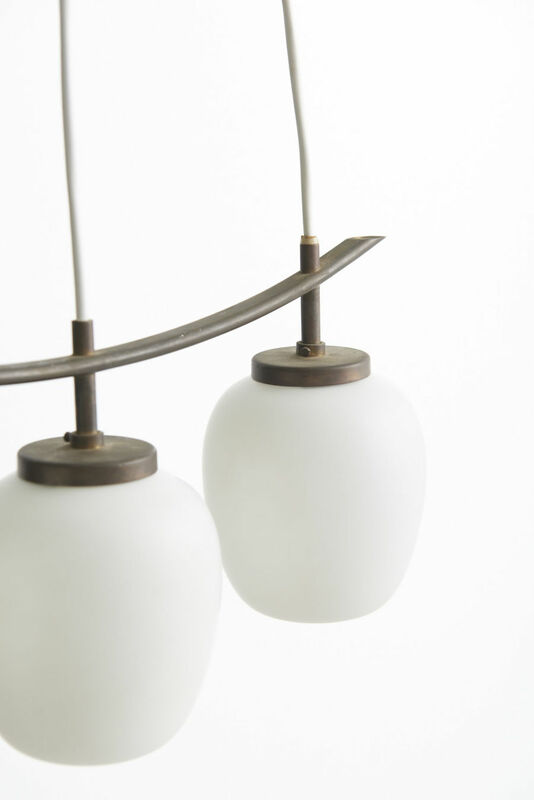 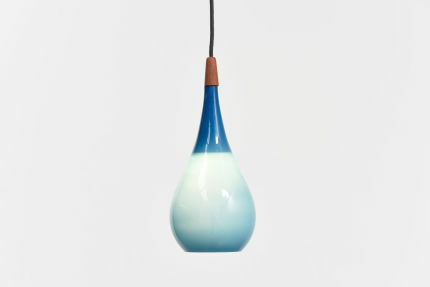 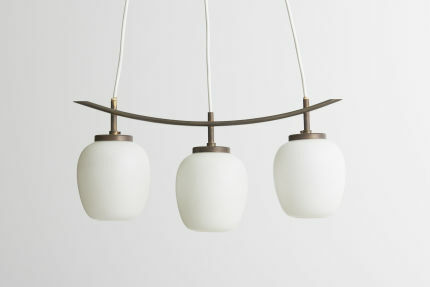 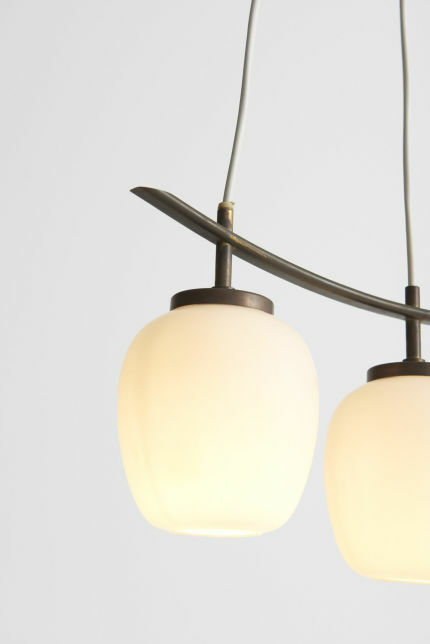 From the 'China Pendant' series, this is a group of 3 smaller glass spheres, hanging from a brass suspension. 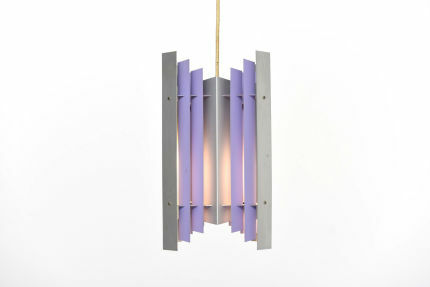 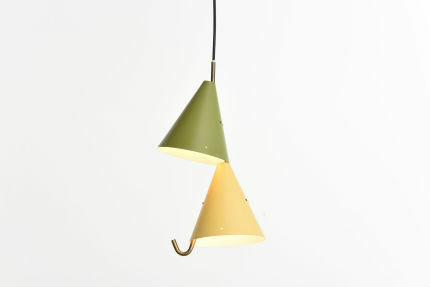 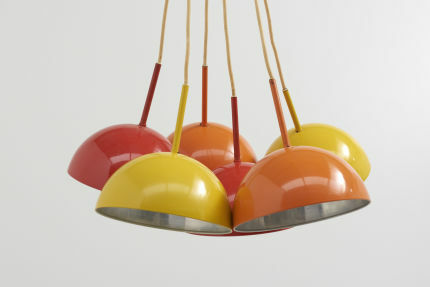 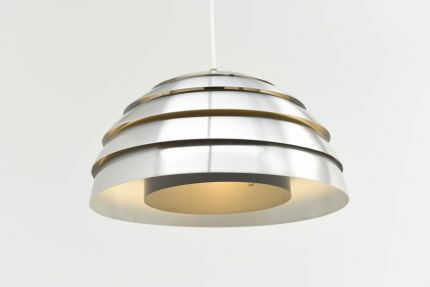 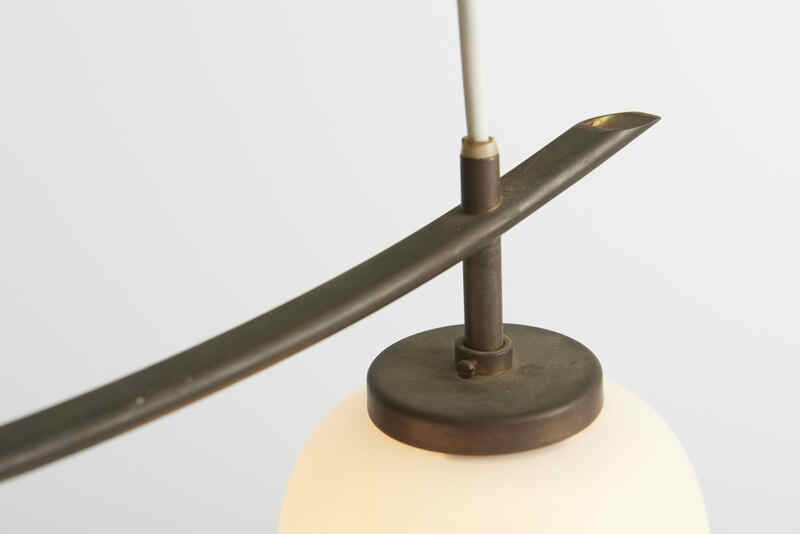 Designed by Bent Karlby in the 1950s and manufactured by Lyfa in Denmark. 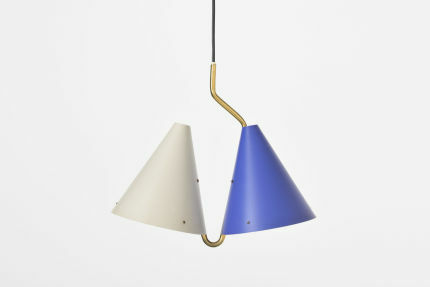 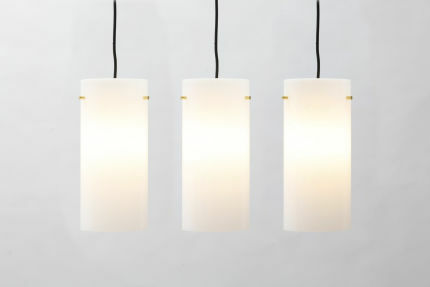 The shade is made in opal glass. 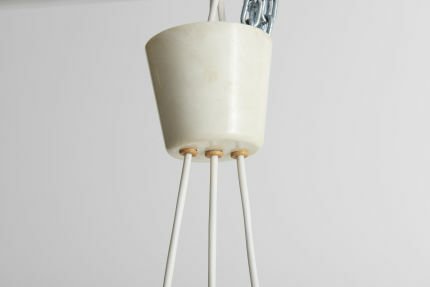 The lamp is rewired in and perfect working condition.